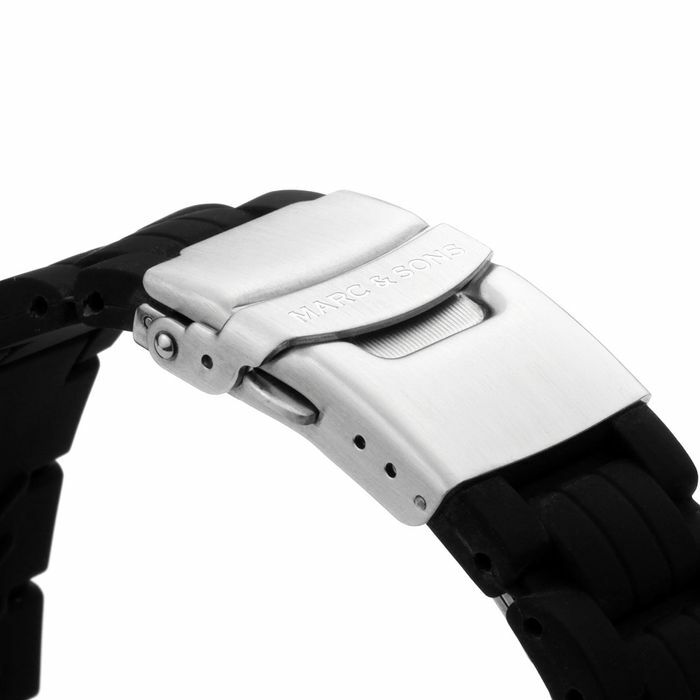 The watch is powered by an automatic movement from Seiko. 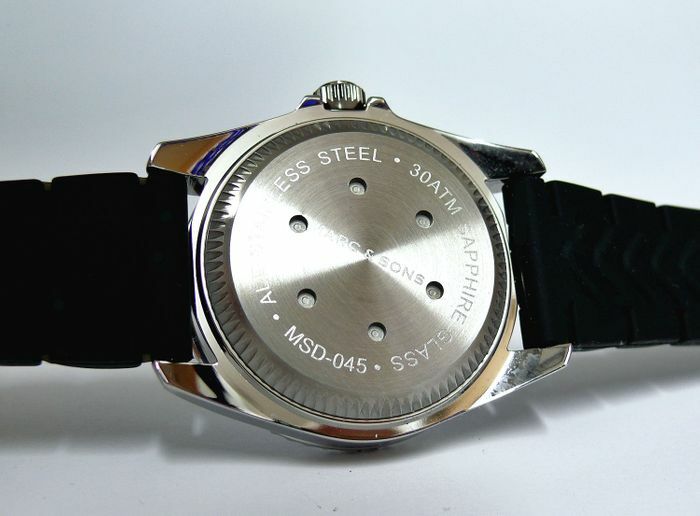 The movement NH35 impresses with its reliability and is fine-tuned before the assembly by our watchmakers. 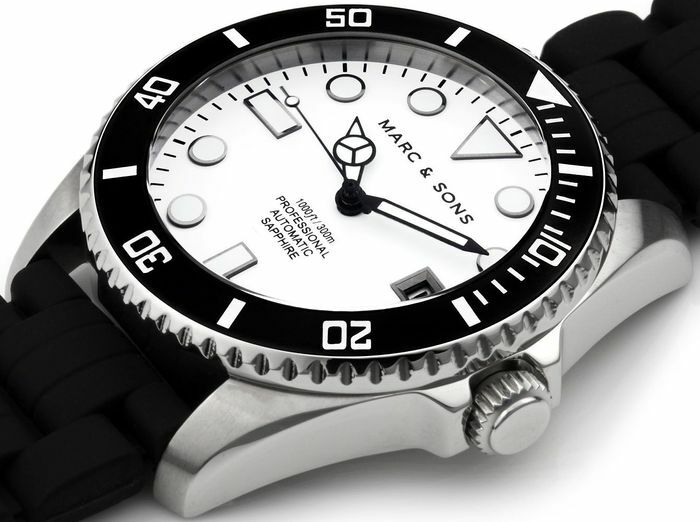 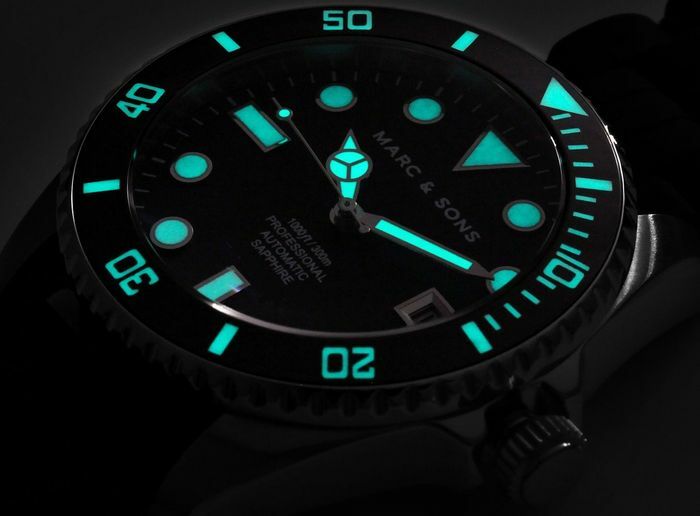 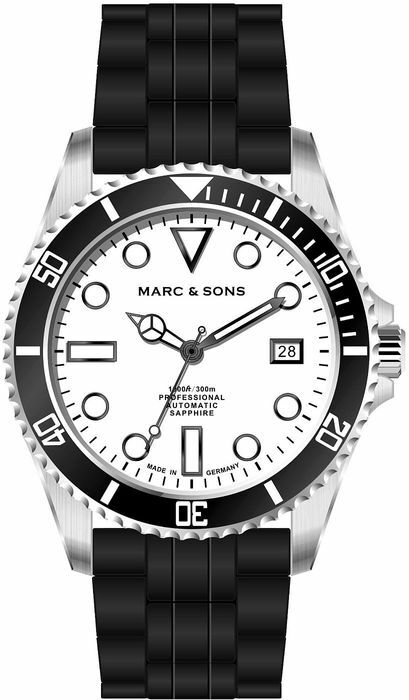 The MARC & SONS MSD-045-6K1 has a well-readable white dial.